Not even finished the 2018, the Union Grand-Duc Adolphe (UGDA), National Music Federation of Luxembourg, the Orchestre d’Harmonie des Jeunes de l’UE, European Association, Luxembourg, the Conservatoire de musique de Luxembourg, and the Union Musicale Interrégionale (UMI), European Association, Luxembourg started organising the European Union Youth Wind Orchestra Tour (EUYWO). This year the event will take place from the 3rd to 11th November 2019 with concerts in Luxembourg and Saarbrücken under the direction of Jan Cober, a lecturer in Clarinet and Wind/Brass Band Conducting, a research coach at Conservatorium Maastricht and part of the European Institute for Conducting in the Italian city of Trento. For this occasion, 60 young musicians from all over Europe will be selected to participate in the 2019 tour. Young highly-qualified musicians (music students, laureates of youth music competitions, professional musicians, etc.) who possess an excellent knowledge of wind instruments, percussion or double-bass/harp/piano, are invited to apply for the call. In addition to this requirement, the applicants should be aged between 15 to 30 years old and should have their domicile in one of the EU Member-States or other European countries. If you are interested in this amazing opportunity, you can download the application form from the website, by clicking here. You should attach also a curriculum vitae, sound recordings (CD, MP3 or web) with one or more solo works (with or without piano accompaniment) of the standard repertoire played and if possible, a letter of recommendation. 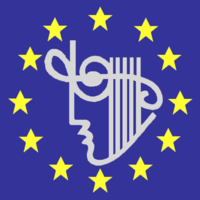 All the documents should be sent not later than the 15th March to the Orchestre d’Harmonie des Jeunes de l’Union Européenne, a.s.b.l, 3 route d’Arlon – L-8009 STRASSEN. The selected musicians are required to pay a participation fee amounting to 240 EURO. The travel costs to Luxembourg are in charge of the musicians. Room and board as well as all the travel costs of the orchestra in Luxembourg will be paid by the organisers. With the financial support of the Ministère de la Culture and the Ville de Luxembourg, also for 2019 an outstanding music experience can be assured. Not only will the young European musicians have the possibility to meet and share their knowledge, but they will also play for a large and various audience, being part of an international ensemble under the name of “European Union Youth Wind Orchestra”.